It’s no secret that the world is facing a trash crisis. From the “Great Pacific Garbage Patch” to overflowing landfills, 1.3 billion tons of waste are produced worldwide every year. The problem is particularly urgent for communities like the French Caribbean islands of Guadeloupe, where just 1630 square kilometers (about 630 square miles) of land support more than 400,000 residents. The result is a lot of human-generated waste, and nowhere to put it without harming the islands’ delicate tropical ecosystem. A group of Windows Insiders decided to help Guadeloupe tackle this challenge–and ended up developing a breakthrough technology that could equip nations to better cope with the global waste crisis. Hamza El Baroudi (CEO) and Faical Said (Software and Automation Architect) are part of the team at Pour Et Par le Soleil (PEPS), a Moroccan company based in Marrakech. 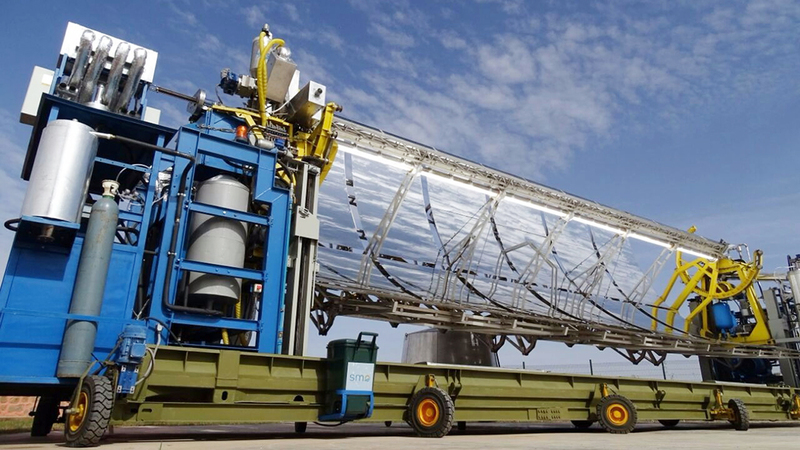 PEPS has partnered with the firm Guadeloupe NST to develop Solar Microwave Oven (SMO®), a waste processor the size of a shipping container that uses solar power to turn waste into electricity. “One SMO unit can recycle 27 tons of waste per day, and three units could produce enough electricity to power half of all the public lighting in Marrakech,” Hamza said. The unit uses pyrolysis, a thermochemical process, to transform waste. SMO’s unique innovation is powering pyrolysis with 100% solar energy, which makes the system carbon neutral—and the first of its kind in the world, according to Hamza. “We’re continuing R&D, and the goal is to not only be carbon neutral, but carbon negative,” Faical explained. In addition to producing electricity, SMO consumes CO2 as it fixes carbon from waste into solid states like biochar, a valuable agricultural fertilizer, and activated charcoal, which is in high demand for water purification and other industrial uses. A key aspect of the technology involves automation and machine learning, which are essential for ensuring that the machine can process diverse kinds of waste, including plastics that are mixed with paper and aluminum in packaging materials. Because garbage tends to contain moisture, be irregular in size, and be composed of mixed materials, more than 150 sensors and actuators enable each SMO unit to cope with ever-changing conditions, all while harnessing solar energy to power complex mechanical and chemical processes. As a computer engineer, Faical was familiar with automation, but he quickly understood that classical automation wouldn’t be enough for SMO. In the early phases of SMO’s development, a key challenge was waste jamming up in the pipes. It was difficult to pinpoint where the jam occurred and whether the machine should accelerate or decelerate the feed. Now that machine learning has been implemented in SMO and tested in real time, the team is exploring other applications for it as well. The team’s hard work paid off when they were able to present SMO to the world at COP22 in 2016. The technology generated plenty of buzz, and the team is currently in talks with potential partners who can help scale up the technology and implement it in industrial settings. Editor’s Note: The PEPS team was the winner of our most recent Insider in Action contest. Want your story featured on the Windows Insider website and beyond? Enter the current contest; you have until June 27, 2018.